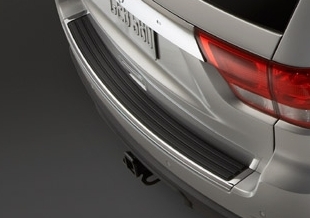 JustforJeeps.com provides a variety of chrome parts to add some sizzle to the looks of your Grand Cherokee, including this chrome step pad surround that fits on the rear bumper. 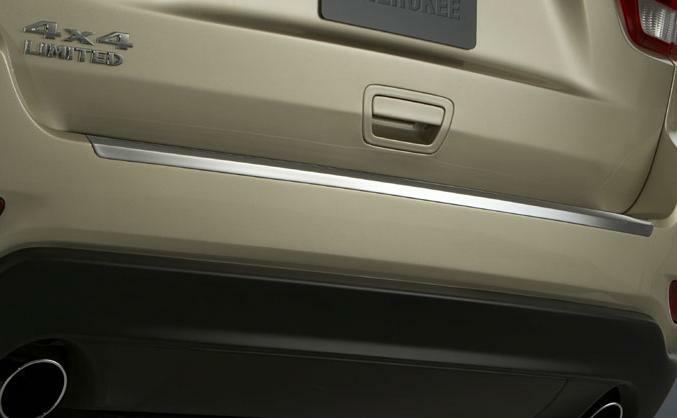 The chrome step pad is a genuine Mopar factory part that replaces the original unit but you must reuse the black rubber. Installation instructions are not included with the step pad surround. If you are uncertain about your ability to install the step pad surround yourself, we recommend you have the installation done by your Jeep dealer, local mechanic or body shop. Must reuse original center step pad, surround does not come with new center step pad. Does not come with installation instructions. We recommend having this installed by your local Jeep dealership or an authorized auto body shop.